Dubbed the Korean version of “Sicko,” the low-budget film was an expos on Korea’s health care system, including privatized hospitals that solely focus on profit-making. Since her film debut, Song has done a lot as a filmmaker as well as a physician. She wrote a screenplay for veteran auteur Im Kwon-taek’s latest project, “Hwajang,” while working as an industrial medicine specialist. When “White Jungle” came out, Song was working as a researcher at an NGO for health care. Her job as a physician now is to visit factories nationwide, about two times a week, and talk to laborers about their health conditions and perform check-ups. She also gives advice to the owners of the factories, in regards to the working conditions and how they affect workers and their health. “The worst is to see a worn-out worker who has all kinds of health problems, both physical and mental, and learning that she or he just can’t quit the job,” Song said in an interview with The Korea Herald. Song chose to major in industrial medicine while attending medical school, after being inspired by the senior students. One of the people Song met in her 20s was physician Gongyoo Jeong-ock, who is well-known for her activism against Samsung Electronics. Gongyoo supported workers who became ill after spending many years at a Samsung memory chip plant. 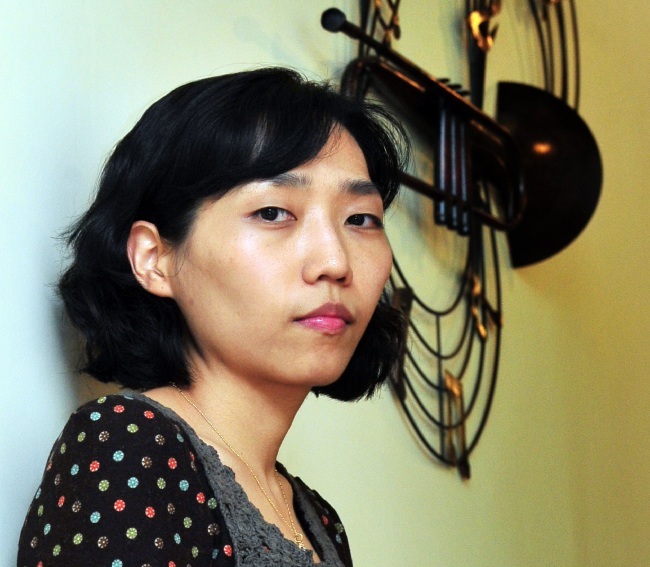 “I was going to choose between psychiatry and industrial medicine,” Song said. Aside from her main job, she spent 2012 writing a movie script. Song’s project is a film adaptation of an award-winning short story that famed author Kim Hoon wrote in 2004. Titled “Hwajang” ― which can mean “cremation” or “makeup” ― the upcoming film deals with a middle-aged man who spends most of his life working for a cosmetics company, and his cancer-stricken wife. Song was pleasantly surprised when Shim Jae-myung, the CEO of leading film house Myung Films, contacted her about writing the script for the film. While the original novel is told entirely from the perspective of the male protagonist, Song tried to add the voices of his ill wife, as well as a young woman he falls for at work, to the script.